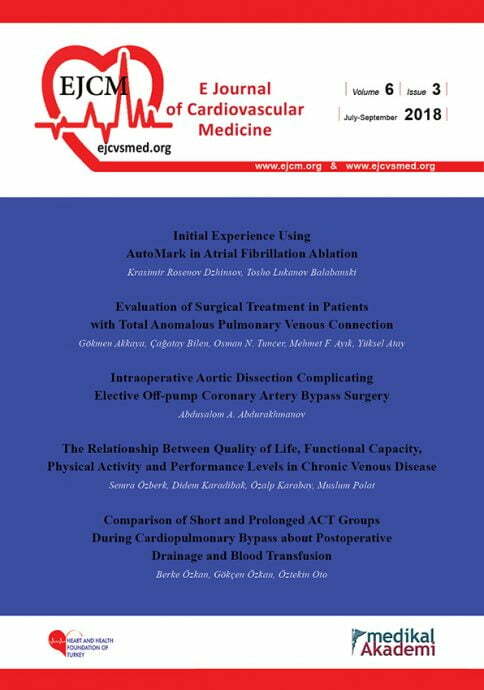 Welcome to the online submission and editorial system for the E Journal of Cardiovascular Medicine – ISSN: 2147-1924. Submission and tracking of a manuscript can only be made through the journal’s online system at eJManagers s’ websites. Please follow guidance to Submit Your Paper. your Username (E-mail) and Password. Repeat users: Please enter your Username and Password and Login. If you have been registered as a ‘Reviewer’ the system will automatically switch to the ‘Reviewer’ interface. You never need to re-register, even if your role changes (i.e., from author to reviewer). Authors: Enter your Username and Password and Login. Then submit your manuscript and track its progress through the system. For a Guide for Authors regarding your paper please look at Guide for Authors. Reviewers: Enter your Username and Password and and Login. You may view and/or download manuscripts assigned to you and submit your comments for the Editor and the Authors. Do not forget to agree to review when you are informed of a new manuscript! For further information please look at the Instructions for Reviewers. Forget your password: Enter your e-mail address and click ‘send’. You will receive an e-mail with the requested information. Technical problems or questions: Please contact or Support. Questions on submission and reviewing process: Please contact Editorial Board.